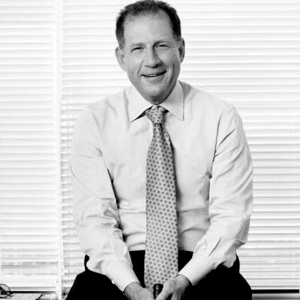 A player agent who is the Vice Chairman of Wasserman Media Group, a global sports and entertainment agency, Arn Tellem oversees the Team Sports Division and is widely recognized as one of the most powerful and respected figures in sports. He is currently ranked first among NBA agents in number of players repped, All-Stars, maxed-out contracts and client’s salaries. Tellem has negotiated some of the most lucrative and high-profile contracts in the National Basketball Association and Major League Baseball history, including over 3 billion dollars in client contracts since 2008. His clients include Derrick Rose, Tracy McGrady, Russell Westbrook, Anthony Davis, Pau Gasol, Marc Gasol, Jermaine O’Neal, Frank Thomas, Hideki Matsui, Mike Mussina, Jason Giambi and Yu Darvish. Among the Phillies Tellem has repped are Chase Utley, Darren Daulton and Mike Lieberthal. Currently, his clients on the 76ers are Joel Embiid, Jerami Grant, Tony Wroten and Luc Mbah a Moute. Two summers ago he became part-owner of Israel’s Hapoel Jerusalem Basketball Club. Tellem was born in West Philadelphia and grew up on the Main Line idolizing Villanova point guard Billy Melchionni and Temple coach Harry Litwack. At the age of twelve, he pulled his first negotiating ploy on management while attending Belmont Hills Elementary, a public school whose enrollment was divided between Catholics and Jews. Tellem was struck by the fact that of the many songs in the December holiday assembly, only one, I Had a Little Dreidel, had anything to do with Chanukah. He was offended on proportional grounds and wanted a 50/50 split. While that didn’t happen, the principal did agree to beef up the Chanukah repertoire. Two Christmases later, he took a similar stand at Welsh Valley Junior High. After graduating from Haverford College and the University of Michigan Law School, Tellem began his career specializing in sports law and litigation. He began representing professional players in the early 1980’s. Tellem has written commentary on sports issues for The New York Times, Huffington Post, Japan Times, and Grantland. He serves on the Board of Directors of Seeds of Peace, PeacePlayers International, and has served on the Board of Haverford College. An interesting side note to Tellem’s curriculum vitae is that he was the model for HBO’s fictional agent “Arli$$”.